- So far we have not called a prayer group for our mission. It’s our desire to constantly and systematically pray for our friends, supporters, and donors. Building the habit is harder than it looks. May the LORD help us start strong and persist in this. 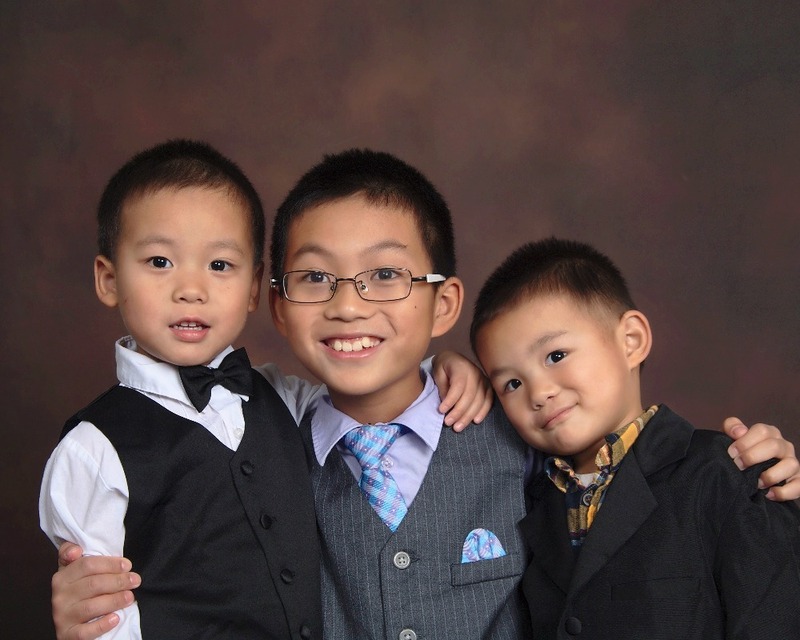 - Jed and Zach started the Chinese school in this September. We are comforted that the kids all love their schools. We still need to help kids develop better discipline in the use of time. - Our family are as busy as usual and strive to become more involved in the town-life of Glenside. Tsun-En keeps the habit of praying with some fellows at New Life Glenside Presbyterian Church (PCA), and we are still looking for a co-leader to host a future disciple group in our house. However, we decide to visit other community groups first while we are seeking partners. Prayer item: Please pray for our prayer life as a family—not just personal devotions. We need to learn new skills how to teach our kids and ourselves to pray, and have a real relationship with Jesus. - We are excited about the cross-collegial Worship Team of nine musicians just formed (two from Penn State, one from Stony Brook, two from U of Delaware, the captain from NC, counselor from Delaware, and the coach from COM). - We are excited about the role-play-game (RPG) module designed for the use of CSP. The team has been meeting and working since this May. Please pray for each team member who volunteers their time and energy without any compensation. It will be a three-hour module for the students to experience cross-cultural communications with many unexpected challenges and fun! Prayer item: We heard from many churches that their outreach to the undergraduate students have not been very successful in the past few years. That would impact our invitations to the churches to bring their undergraduate students to come. In fact, it is our desire to inspire those few undergraduate students who did come to faith and join church worship to be encouraged and challenged to reach their fellows in the campus. Please pray with us that the LORD will raise up many spiritual leaders from this younger generation of international students. - AFC Online Campus Ministry Training have completed two lessons with 27 campus ministers and associate staff. We are thankful for their dedicated participation and the learning opportunity for ourselves to hear from them the frontiers’ perspectives and anecdotes. - We had one unfortunate incident in the Souderton Club on 9/23. Someone broke the wall with a slamming door. This is in fact the second incidents since we had this high-schooler outreach program. The Souderton Mennonite Church is concerned but forgiving. We are trying to communicate more clearly with the students about their responsibilities of using the church facilities. Please pray that we would have the wisdom and loving heart to talk to the students, many of whom are unbelievers. - AFC has started the internal discussion on how to systematically training our new Campus Missionaries before they are sent to the field. If the LORD wills, Tsun-En wishes to pioneer a more aggressive training project to achieve this goal. - Please pray for Tsun-En’s preaching in the mission conference of Chinese Bible Church of Lancaster on Oct 9th, and evangelistic outreach with Pittsburgh Chinese Church Oakland on Oct 14-16th. Prayer item: Please pray for the effectiveness of the online training program, and the presence of God in the preaching engagements. 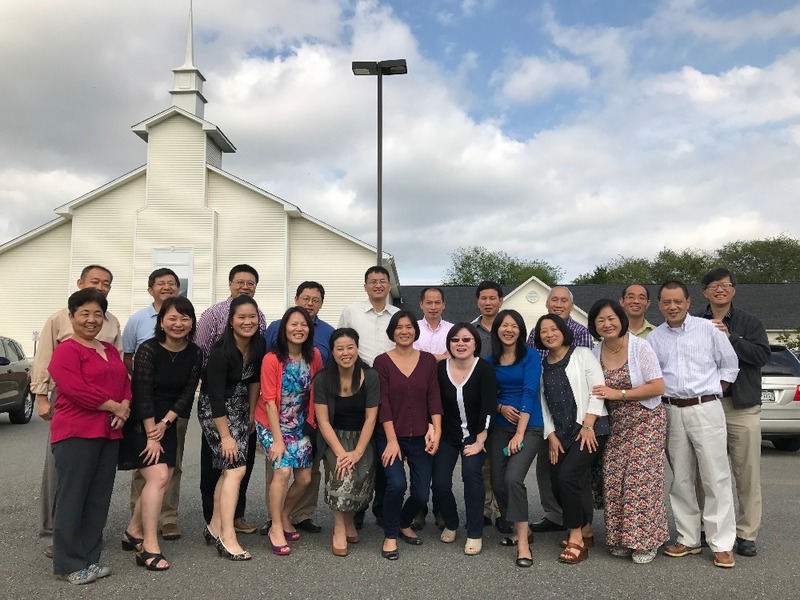 -The Chinese churches in the North America, by and large, produce bible study group leaders and Sunday school teachers. But they have not grown life coaches, student mentors, and fellowship counselors to meet the needs of current trend of campus ministries in the North America. We are concerned and praying for more suitable training designed for this need. - We will host a series of biblical counseling training at AFC: How People Change Conference (5/19-21), Help Others Change Conference (11/3-5). We are also planning on a special training of life coaches, student mentors, and fellowship counselors, likely in September, 2017, in the New England area. 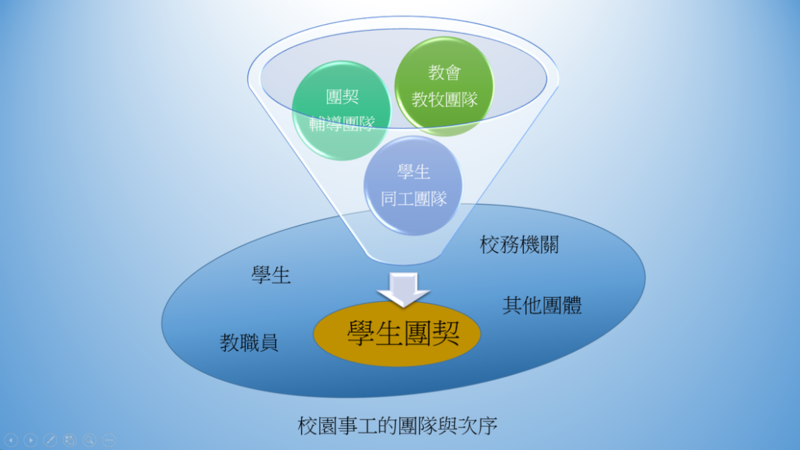 - We continue the process of planning a How People Change Certificate Program in Taiwan by the fall of 2017. We are thankful for the sponsorship of Family Counseling Center and the help of Easter Gau, our trainer’s commitment. Prayer item: Please pray for the design of the How People Change certificate program and our endeavor of training new trainers. - Tsun-En just finished teaching the extension course for CESNA on Hermeneutical Principles on 9/29-10/2 at Richmond, VA. About 20 students participated. It’s a good opportunity for Tsun-En to sharpen his academics. Now there are 20 student exegetical papers in development. - Tsun-En is starting an online course on Introduction to Biblical Theology in this Fall. Prayer item: Please pray for Tsun-En to be able to continue his French and German studies during this very busy schedule. - We are currently raising fund to sponsor the post-editorial work of Tsun-En’s eight-lecture seminar on biblical counseling recorded in Taiwan this summer. The need is about USD2,500. If we finish this project, the material can be used to entry level training of biblical counseling, to be used both in Taiwan and US. Would appreciate your support and prayer. - Because of the addition of our family health insurance plan, our fundraising duty has increased to $4,725 per month. We are very grateful to find sufficient deposits from our donors that are just enough to cover our new health insurance plan for September and October. We thank you our friends and donors for your dedicated supports to our mission and the needs of our family. We are preparing our Christmas family greeting cards for you all. - We are committed to visit our friends in Taiwan and Hong Kong every summer as a family. That would cost us $7,000 in flight tickets each year. Would appreciate your support and prayer. Prayer item: Please pray for our wise management of our finances and our increasing faith in serving the LORD, without concerns or worries because of fundraising. Grace and I make every effort to involve in the community life of Glenside and be more nourished in New Life Glenside Presbyterian Church that we regularly attend. If the LORD wills, we will co-lead a community group in our house, as early as mid-October. While Grace and I are working hard to stabilize our daily schedules filled with unfulfilled tasks, the LORD is leading us into a new kind, fresh & pleasant kind of intimacy and unity. While the stresses of lives are not taken away, we increasingly appreciate the wisdom of God who made us two into one through our marriage. Starting in September, we are no longer with CHIP for the health insurance of Zachariah and Nehemiah. We are not covered by any insurance while we are in the process of joining AFC’s employees’ health insurance plan. We are anxious not to have injuries or illness in this interval of time. Prayer item: Please pray for our family to stay focused on God’s grace and healthy physically. We are very excited about the launch of AFC Online Campus Ministry Training. Twenty-seven people have registered, predominantly AFC’s full-time campus missionaries. The Souderton Club has kicked off on 9/9 at Souderton Mennonite Church. Twenty-six high schoolers and eight counselors had showed up, half of them to be new faces. We are thankful that Rev. Tim Bentch, the Senior Pastor of the church, his wife and his daughter, visited us and gave a welcome speech. Tsun-En is going to lead two evangelistic outreaches; one in Cornell University (9/16-18), the other in University of Pittsburgh (10/14-16). Prayer item: Please pray for the effectiveness of the online training program, and Spirit-filled messages in the two outreaches. 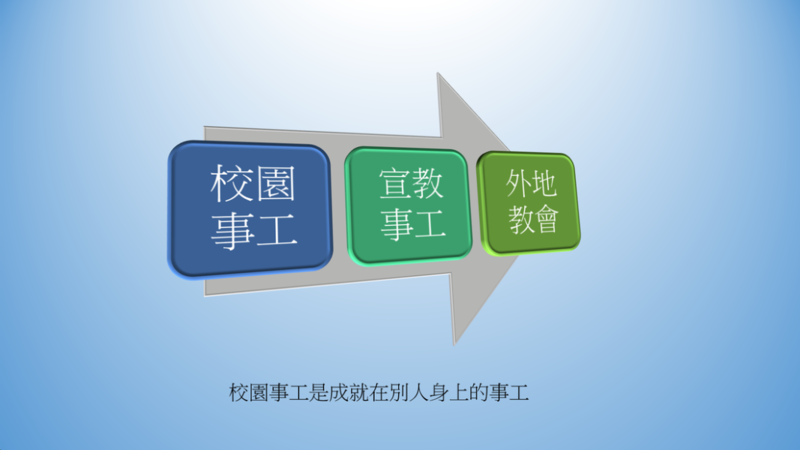 A new How People Change certificate program is in the process of planning by Tsun-En, Easter Gau, and FCC. We wish to send Easter to Taiwan to train the trainers of this certificate program, and hopefully launch the program in Taiwan by the fall of 2017. We are also planning on hosting two How People Change training conferences at AFC training center in May and November, 2016, for level I and level II training. Our specific goal is to equip the campus missionaries and student counselors reaching the Chinese international students. CMC 2016 in Baltimore as of now has had over 1,100 registered. We are looking forward to 3,000 registers this time. In the Chinese Student Program, we are expecting 160-200 Chinese international college students and counselors. The Chinese Student Program will focus on cross-cultural, surrendering disciples, and gospel ecosystem. We pray that the LORD would raise younger Christian leaders from the so-called post-90/95 generations. Feeling unlikely? But that’s what we are confident to do. Prayer item: Please pray for the process of recruiting counselors, staff team, and promotion. Tsun-En will be teaching the extension course for CESNA on Hermeneutical Principles on 9/29-10/2 at Richmond, VA.
Tsun-En is developing a new curriculum on Introduction to Biblical Theology, which will be taught for a long-distance course in this Fall. There are many new Chinese/Taiwanese seminarians coming to WTS this year. We are looking forward to knowing them and serving them. We are committed to visit our friends in Taiwan every summer as a family. That would cost us $7,000 in flight tickets each year. However we deem it necessary as we perceive a clear calling to advance the biblical counseling training programs in Asia, and our children would need to use this opportunity to maintain their ties with our home country. Prayer item: Please pray for our increased duty of raising $1,725 per month to cover AFC’s Health Insurance Plan, in addition to our current duty of raising $3,400 to cover Tsun-En's payroll and taxes. It's very hot in Taiwan. But Grace, three super-active boys, and Tsun-En visited our family relatives and in-laws in Taiwan. We deem it very important for our littles to know and build relationships with them. We had a joyful meeting with Dr. Vern and Dr. Diane Poythress, Tsun-En's academic mentor at WTS, during their mission trip in Taiwan. It's such a blessing that Tsun-En's professor also has a heart for this Island. We seized every opportunity to follow up with our health checkups during Tsun-En's intensive ministry schedule. We must admit the fact that we are no longer young and must learn how to maintain our health for the sake of the Kingdom of God. Prayer item: Please pray for the smooth completion of our visa renewal, health checkups, and wise use of time in Taiwan until September 1st. We are very thankful that Melody Shao, an AFC campus minister at NC has joined Tsun-En in planning for AFC Online Campus Ministry Training with sober ideas. Tsun-En has completed and uploaded four training videos unto AFC's virtual classroom. While the materials have become available, more editorial works may be required along the way. There seem to be increasing demand for AFC's training ministries to develop synergy and integration. We need the LORD's guidance for spiritual discernment and coordination with other AFC leaders. Prayer item: Please pray for the registration of AFC online campus ministry training in August and following interactive coaching sessions. The three biblical counseling conferences in Taipei (7/21-23), Kaohsiung (7/28-29, 31), and Taichung (8/4-5, 7) seemed to be well-received beyond expectations. We were humbled in the Gospel messages we delivered. The Family Counseling Center (FCC), an affiliation of China Reformed Theological Seminary (CRTS) is interested in exploring long-term partnership with AFC, to train the trainers of CCEF's How People Change Discipleship Program in Taiwan. We are grateful that CRTS.TV agreed to edit the conference recordings to produce How People Change Training Videos. If the LORD wills, we will use it for biblical counseling training in US. Prayer item: Please pray for our partnership with FCC and CRTS.TV would be fruitful and spiritually nourishing. We expect over 150 college students to attend the Chinese Student Program of Chinese Mission Convention with us in Baltimore. The Role-Play-Game (RPG) team has built up excellent team spirit, thanks to the leader brother Abraham Yeh and the help of his wife Joy Yu as well as the devoted coworkers. We are excited about having Rev. Joshua Guo from Beijing, Minister Ray Peng from UMOT in Taiwan, and Elder Kris Wang to speak in our plenaries. On the other hand, we are under more time pressure than before to recruit counselors and student leaders. We will work with them to develop interactive small group curriculum. Prayer item: it's our deepest desire to see God raise up young spiritual leaders from among the China-background college students. Please join us in prayers. 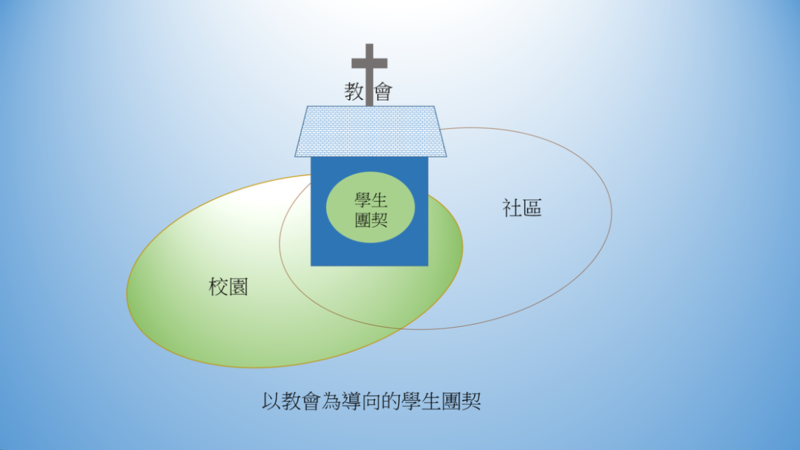 Tsun-En is currently researching on the multiple themes of biblical theology (creation, Abrahamic Covenant, Mosaic Covenant, Kingdom of God, New Creation) in relation to the doctrine of Church. Tsun-En will be teaching the extension course for CESNA on Hermeneutical Principles on 9/29-10/2. We attended the 13th Youth Mission Conference in July, the largest student mission movement in Asia, and met many senior campus ministers. We were told that nowadays Taiwan students desire to travel and study globally. We are wondering how God would unfold the plan of His global kingdom. We were also surprised to see many Muslim laborers in Taipei Main Train Station. Chinese churches are facing an enormous opportunity to reach the Muslims. We hope to see more attention in missional discipleship in the CCCOWE on 8/22-26. May the LORD choose His servants to fulfill His tasks in a time as such. We happily met many old and new friends in Taiwan. Your warm friendship have encouraged us in the path of faith. Please continue sharing with us your life updates that we may remember each other in prayers. Prayer item: Please pray for our increased duty of raising $1,500 per month to cover AFC’s Health Insurance Plan, in addition to our current duty of raising $3,400 to cover Tsun-En's payroll and taxes. We are looking forward to hearing from you. Please keep in contact via Facebook, We Chat, or email: tlu@afcinc.org. We come back Taiwan! 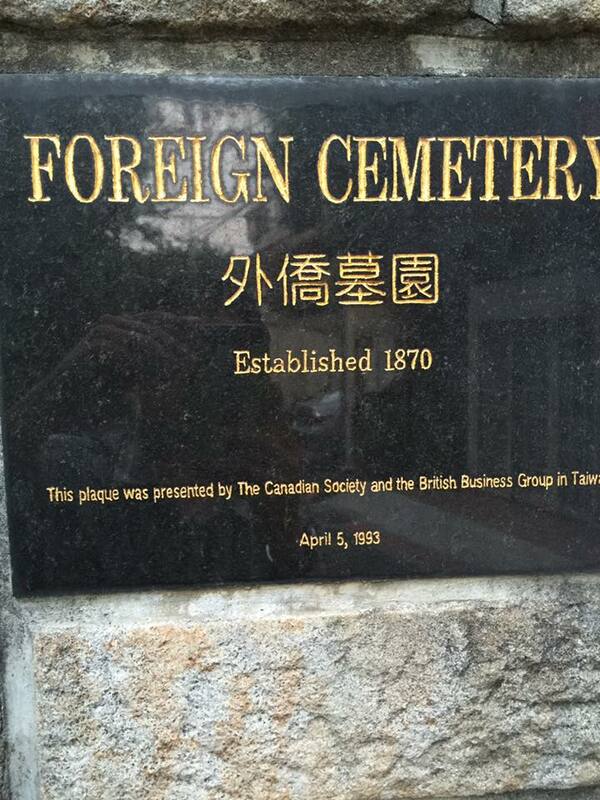 The first week we visited Dr. George Leslie Mackay’s cemetery (馬偕墓). 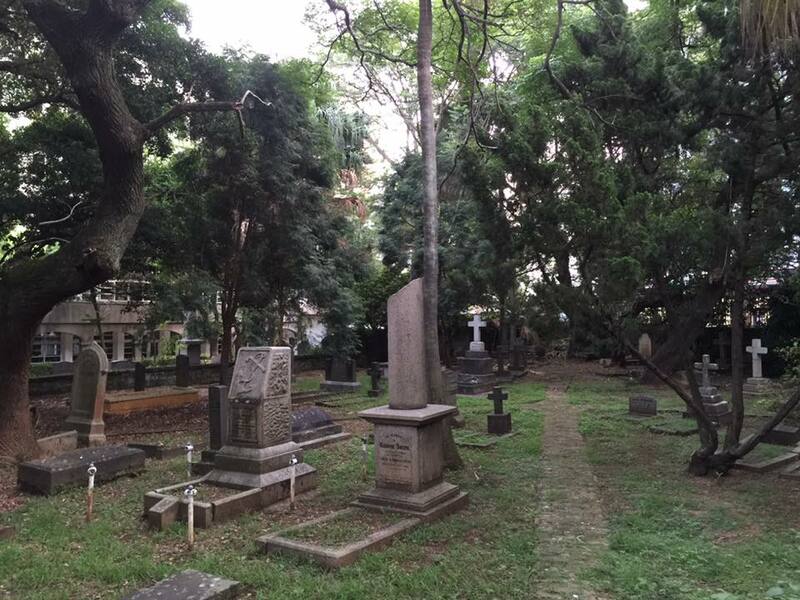 He was the first missionary to Taiwan, married a local, established the first Taiwanese church, and buried in Taiwan. He reminded us doing ministry from an eternal perspective. No more can be said. It’s just so inspiring. 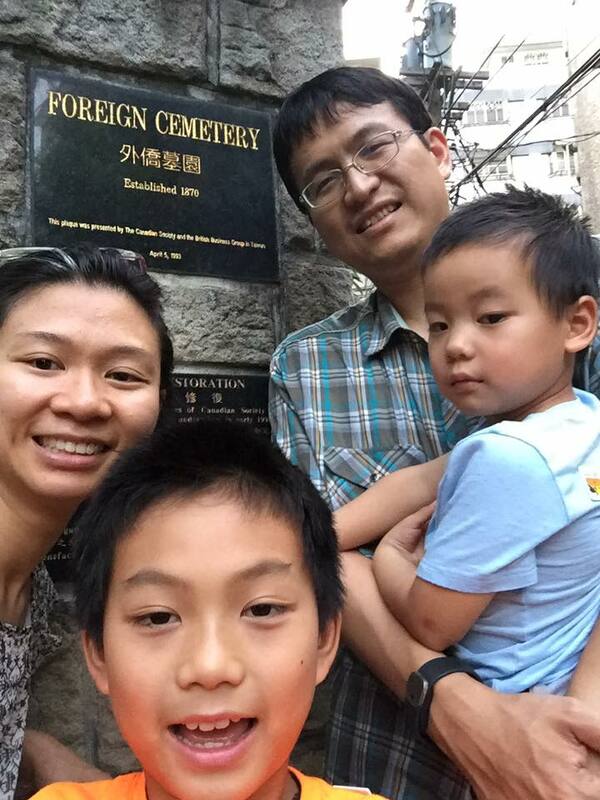 Our third son Nehemiah (2yrs) was born in US and never landed on Taiwan. Everything looks bizarre yet exciting to him. Strangely Zachariah (3.5 yrs) loved Taiwan’s milk products much more than American’s. Jedidiah (8yrs) with his bilingual capacity is unafraid of meeting new people. Travelling with three children is a constant challenge for us. We are learning to exercise Chinese, picking up rituals, meeting subtle expectations, suffering heat, doing homework, and saving money at the same time. We are travelling back and forth between Taipei, Tanshui, Tainan, Taichung, and Kaohsiung. We will also visit Hong Kong for a few days. Prayer item: Please pray for the smooth completion of our visa renewal, health check-ups, and many other administrative tasks with the government during our intensive schedule. Praise the LORD that we were able to meet many church leaders from CBCGB and other local leaders in the Boston Young Adult Ministry Conference (6/25, CBCGB). There are great demands in campus ministry, youn professional ministry, and returnees ministry in this area. We are planning the training with CBCGB in year 2017 for more strategic-planning conversations. We have announced AFC Online Campus Ministry Training Program in AFC’s Campus Leaders Retreat in June. The training videos will begin uploaded in August with discussion questions and further reading recommendations. Prayer item: Please pray for the successful preparation of the online training videos with good course materials. We will host three biblical counseling conferences in Taipei (7/21-23), Taichung (7/28-29, 31), Kaohsiung (8/4-5, 7), and commend How People Change Discipleship Program (HPC) in Taiwan. The Family Counseling Center (FCC), an affiliation of China Reformed Theological Seminary (CRTS) is interested in exploring long-term partnership with AFC, to train the trainers of HPC in Taiwan. Prayer item: Please pray for the three seminars to be well-registered and make impact. Please pray for the executive meeting with FCC on Aug 23rd to bear good spiritual fruits. We are still behind in the planning and coordinating of Chinese Student Program (CSP) of Chinese Mission Convention 2016 in Baltimore. We really need the help of the Holy Spirit to call suitable counselors and student leaders to assist us in this event. The goal is to challenge China-background Chinese international college students to live out disciples’ lifestyle and be shaped as spiritual leaders. Prayer item: Please pray for the solid collaboration and cooperation of 8 participating campus ministries to work together efficiently. To teach is the fastest way to study. Tsun-En just finished teaching an extension course for Chinese Evangelical Seminary of North America (CESNA) on Doctrine of Predestination on 6/16-19. He will be teaching another extension course for CESNA on Hermeneutical Principles on 9/29-10/2. 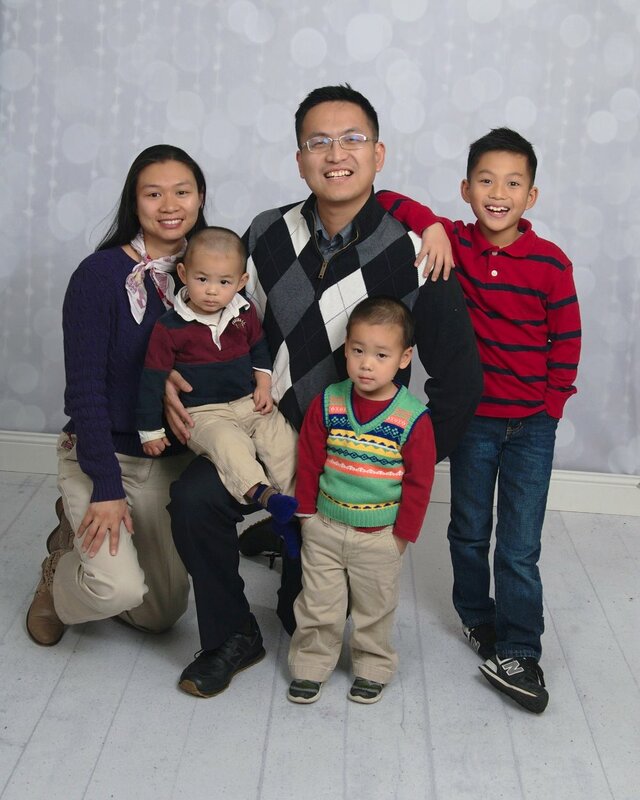 While we are still behind in our fundraising (about 20% to our stated goal of $88,000 a year), we are grateful that both China Grace Christian Church in Blue Bell, PA (CGCC), and University City Chinese Christian Church in West Philly, PA (UCCCC) approved our application of missionary support. 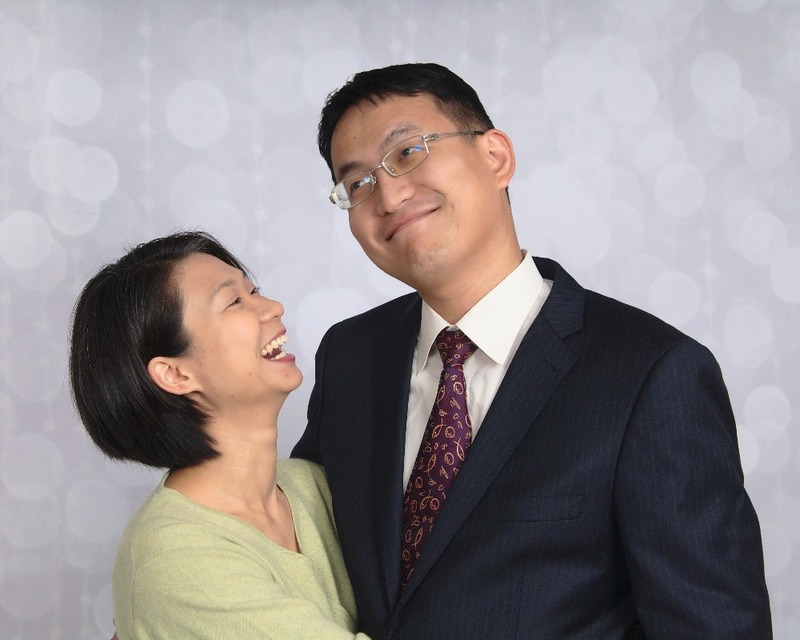 These two are the second institutional supports we receive since Tsun-En is officially installed as AFC’s self-fundraising full-time staff, in addition to First Ithaca Chinese Christian Church, Ithaca, NY (FICCC). Prayer item: Please pray for increasing of monthly support to cover AFC’s Health Insurance Plan. In addition to $3,400 of payroll, we need to raise another $1,500 per month in order to join AFC’s Health Insurance Plan. Tsun-en and Grace, it is near tragic to read "Inerrancy and Worldviews Project abandoned"---this could be a critically important project in our needy world. I will pray about this project. The Poythress family is dear to us. 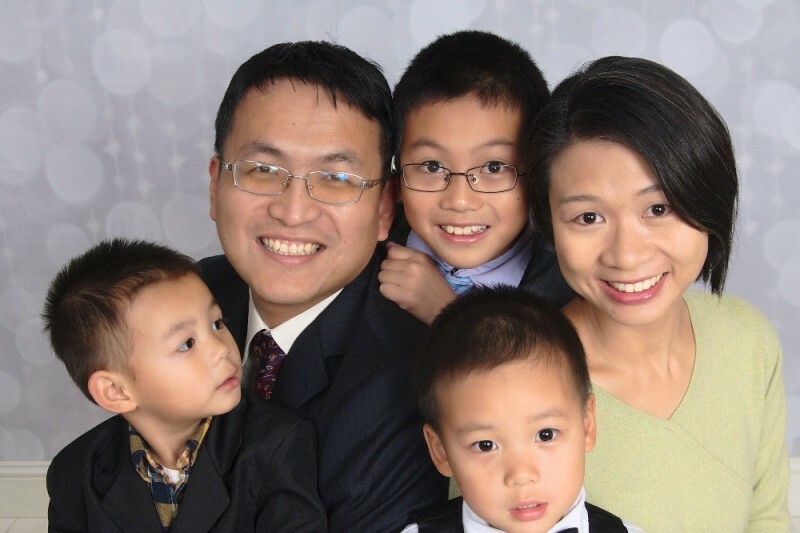 We hope to see Vern and Diane soon while they are teaching in Taipei. Also hope to connect with some of the events in Taiwan you mentioned on your site. God bless you, yuan Ie-he-hua sher ni heng thong!